The Rosslyn wall along the local Arlington Blvd on the south side of Rt. 50 between Ft. Myer Dr. and N. Nash St. has in recent weeks become a public forum chalked with inspiring quotes. 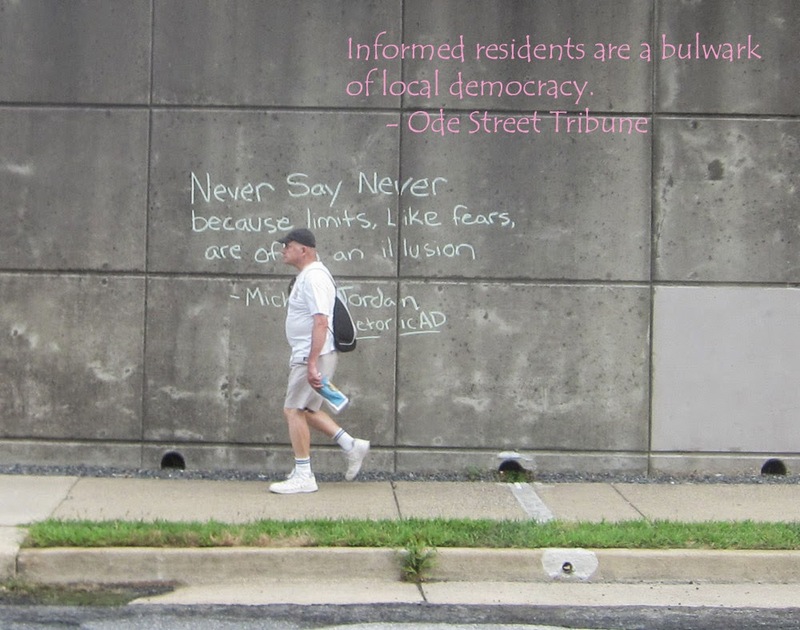 Passers-by have been uplifted with inspiration from Maya Angelou, Mark Twain, Paul of Tarsus, Andy Warhol, Michael Jordan, and the Ode Street Tribune. The appearance of these quotes seems to be associated with the Twitter hashtag InspireArlington. That hashtag is somewhat misleading. Rosslyn offers inspiration not just for Arlington, but for the whole world.